The Xbox is ten years old this week. For those who have enjoyed playing games on either the original console or its successor the Xbox 360, it's a time for heartfelt congratulations. For Sega fans, it's a time for warm, if slightly tragic, reflection. By the time the Xbox was released in November 2001, Sega's final console after over twenty years in the hardware business had already been killed off, the Dreamcast discontinued in March 2001. The Games: Though the Dreamcast died in 2001, many of its biggest and best games lived on courtesy of the Xbox. Sprawling RPG epic Shenmue saw its sequel find a home on not just the Dreamcast but the Xbox as well, while Jet Set Radio and RPG Rent-A-Hero No. 1 were remade and/or retooled for Microsoft's console. Perhaps most important for the fortunes of the Xbox, though, was the transition made when Dreamcast title Metropolis Street Racer saw its spiritual successor arrive with Microsoft in the form of Project Gotham Racing. The Legacy: It's come to light in recent years that the transition between Dreamcast and Xbox was so close that at one stage Sega wanted Microsoft to make the Xbox backwards compatible with Dreamcast games. 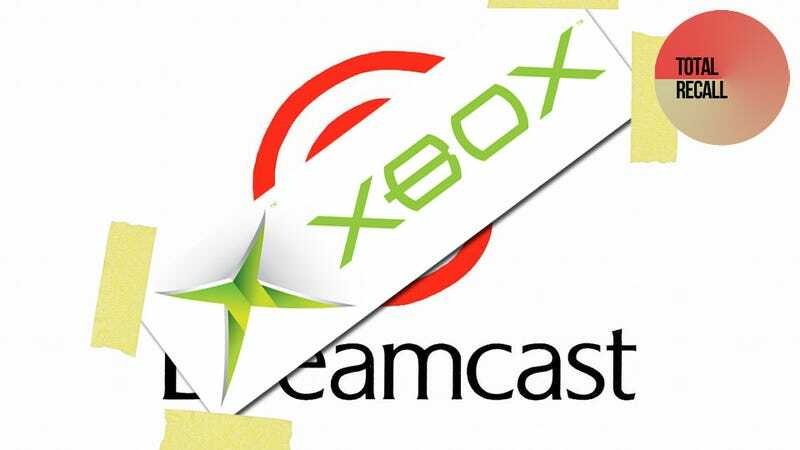 While the plan ultimately failed over internet connectivity issues with Dreamcast games, the fact it was up for discussion at all shows how close the two systems were, and how close the Dreamcast came to literally living on inside the Xbox. The Controller: Unlike its competition at the time, Microsoft had no previous controller design to build upon when coming up with the Xbox, so the company had to look elsewhere for inspiration. It looked to the Dreamcast, where it got the A, B, X & Y buttons, their colours (though their placement was swapped), two true analog triggers and even expansion slots. What's cool about this is that because the Xbox 360's pad is so similar to the Xbox's S controller, the Dreamcast inspiration lives on to this day in Microsoft's machine. The Windows: This one actually works in reverse. The Dreamcast was a testbed of sorts for Microsoft, with some of the console's games running on a custom version of Windows CE. When the Xbox arrived three years after the Dreamcast, you could say it was a more successful implementation of lessons learned with Sega. The Man: Peter Moore, currently of EA, was in a previous life the president and COO of Sega of America. He was one of the first prominent video game executives, playing a big part in the launch of the Dreamcast. Yet he was also the man who not only ultimately killed Sega's final console, but was also responsible for series like Shenmue appearing on what would have been rival machines. While this made him a little unpopular at the time, in 2003 he was hired by Microsoft, bringing his role in the demise of the Dreamcast full circle. So there we go! The Xbox was hardly a proper Dreamcast 2, I know, but it was more of a swansong than most other dead machines could have hoped for. So for nostalgic Sega fans, there's at least that to be...thankful for? At least, as thankful as bitter old Sega fans can get, anyway.